Welcome to Isla La Fiesta! This ultra luxurious waterfront 2 story vacation home rental features 6 bedrooms and 6.5 bathrooms overlooking the wonderful waterways of the intra-coastal in the heart of Fort Lauderdale boasting amazing views and exquisite amenities throughout the home. As you enter the grand foyer with marble flooring, you are greeted with a grand staircase and chandelier that highlights the exquisite ambiance only La Fiesta can offer. 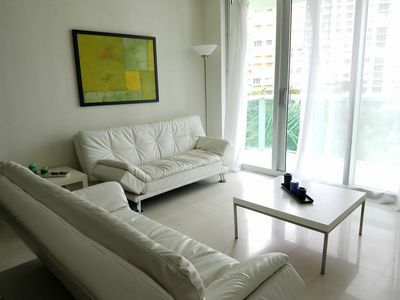 The extraordinary living space is designed with comfort and style accenting a flair of rich decor. The contemporary furnishings and luxurious amenities throughout this home easily makes this luxury living style an experience to remember. The living room features a fireplace and french doors that open to the wonderful outdoor living and wonderful views of the intra-coastal. 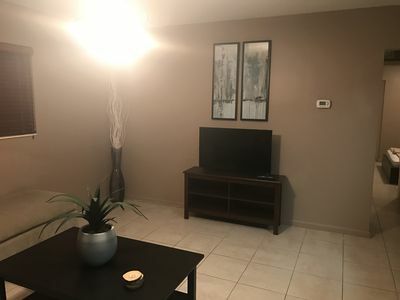 The entertainment room is rich in comfort with all leather furnishings, a pool table and large screen TV and highlights a wine room with a wet bar for everyones enjoyment. The formal dining area comfortably seats 6 guests. The gourmet chefs kitchen is a dream! 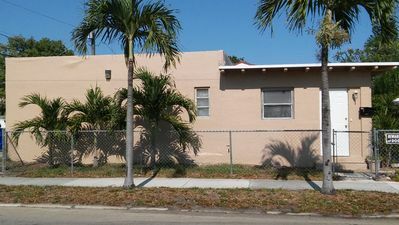 Large and spacious with all stainless steel appliances and granite countertops. The kitchen nook is a perfect spot to enjoy a cup of coffee and gaze out the surrounding windows to the beautiful tropical foliage that embraces this home. You can either ascend up the grand staircase or you can take the elevator to the second floor that showcases 6 bedrooms. The master bedroom suite has a king size bed, rich in decor and furnishings with only the finest linens. A private balcony welcomes wonderful views with a large custom built walk in closet and master bathroom ensuite with dual sink on either side, a jacuzzi tub and private shower. Two guest bedrooms both have king size. beds and the other 2 bedroom have queen size beds. All the guest bedrooms are equally designed with full comfort in mind using only the finest linens and furnishings. The second floor has a wonderful balcony with ample seating space so you can gaze upon the waterways as you watch the amazing yachts go by. The main feature of this wonderful vacation rental is the backyard. There is a covered veranda with comfortable outdoor seating with the intra-coastal as your main attractions. There is plenty of lounging furniture around the pool area and the spa, which is fully heated with accented with waterfall basins and beautiful tropical foliage surrounding you. There also is a nice section that boasts a bbq grill and plenty of seating so you have all the space you need to entertain and grill up some of your tropical favorites. This Fort Lauderdale home is simply amazing in every aspect. 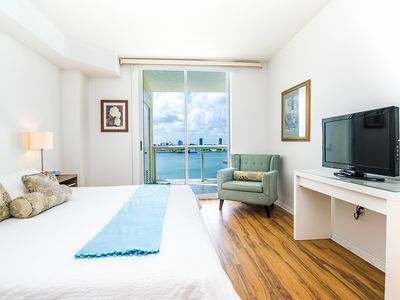 Though it is located in a quiet rural area, it is perfectly situated near the beach and all the main attractions this wonderful city offers including art galleries, plenty of shopping, restaurants, museums and more. 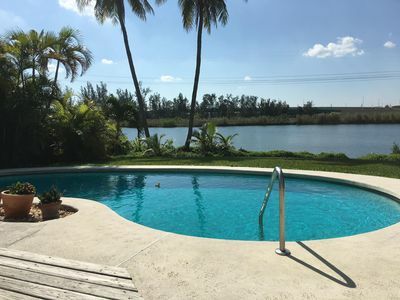 Isla La Fiesta is the perfect home away from home. 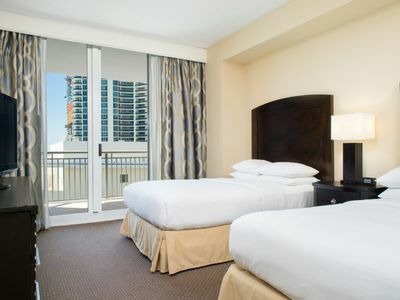 The perfect experience for a real Fort Lauderdale vacation that can make all your dreams come true. 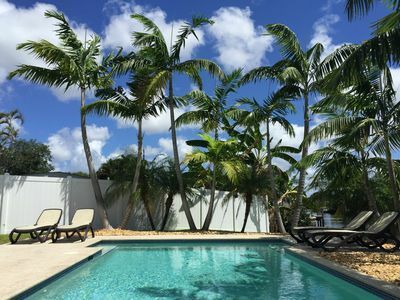 Contact us at Florida Luxury Rentals to book your stay at Isla La Fiesta today! 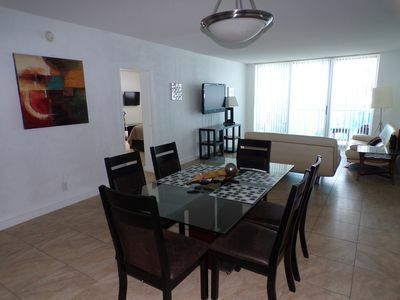 Two Bedrooms, One & 1/2 Bath - On The Beach! 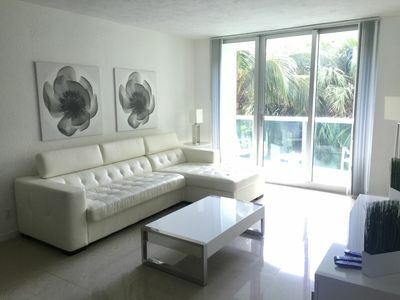 G. Bay Standard 4 | 2 Bed 2 Bath, Amazing Intracoastal Views! 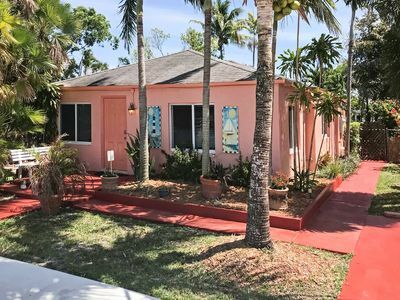 Bright Hollywood Home w/ Yard - 1 Mile to Beach!